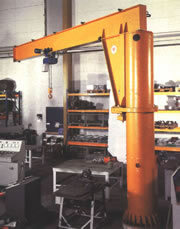 We can design, manufacture and supply many types of Jib Crane. We are able to repair, service and test all types of Jib Crane in our workshop. Please contact our sales staff for further information.